Tip: How to add a resource page to this list. Where’s the Learning in Service Learning? HEART’s free webinars cover a variety of important humane education topics for both traditional and non-traditional educators, parents/guardians, and concerned citizens. If you missed a webinar that you were interested in, we have archived them all here so that you can listen to them at your own convenience. Click link to read the October issue of YES! Identity, Power & Oppression - Only 5 spots left! Participants will reflect on their own identity and how their identities intersect with systems of power and oppression. Together, participants will develop practices to name, interrupt and transform oppression in communities, workplaces, schools, and day to day interactions. RevUp is a 3-day training institute for youth organizers, youth workers, and educators who seek to incorporate social change practices into their work. Rev Up features workshops led by Chicago's cutting edge youth development professionals. This interactive training is for adults allies who work with youth. Adultism is a form of oppression that perpetuates age-based stereotypes and limits the potential for intergenerational power-building. Participants will explore strategies to dismantle adultism and strengthen skills to build strong youth-adult partnerships for youth-led social change. This workshop is co-facilitated by CFS youth leaders. Creating engaging learning and skill building sessions is vital to all youth organizations as well as community organizing efforts. In this session participants will explore the fundamentals of popular education and how it has been used as a tool for organizing across multiple issues. They will ask the question what is the role of facilitation in creating dynamic interactive workshops while practicing facilitation skills and creating innovative agendas on relevant topics. Chicago is a hot bed for innovative grassroots campaigns. Join us to gain the skills that sharpen your knowledge and ability to be effective organizers and campaign supporters. In this session participants will examine the elements of successful campaigns and learn tools for framing issues, base building, and analyzing power. Actions are but one part of effective community organizing. Essential to successful organizing are concrete strategies rooted in well framed issues. This session is designed for participants with a range of organizing experiences to develop common language and skills for innovative organizing. Participants will explore tactics to strengthen their ability to develop and adapt long term organizing strategies and campaigns. Sliding Scale $15-35. Young people 18 and younger are free. Dinner provided. This fall, Mikva invites students from across the nation (grades 6-12) to participate in this interactive digital competition that asks youth to work in teams to earn points and win prizes by using their favorite social media platforms to complete any of 51+ electoral Challenges. 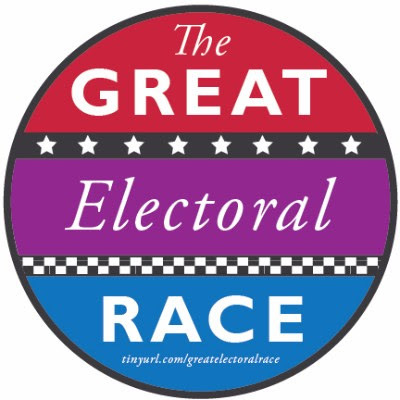 ClickHERE to learn more and find resources to make the Great Electoral Race an integral part of your fall curriculum! What is the most pressing issue facing young people today, why is it important, and what should be done to address it? 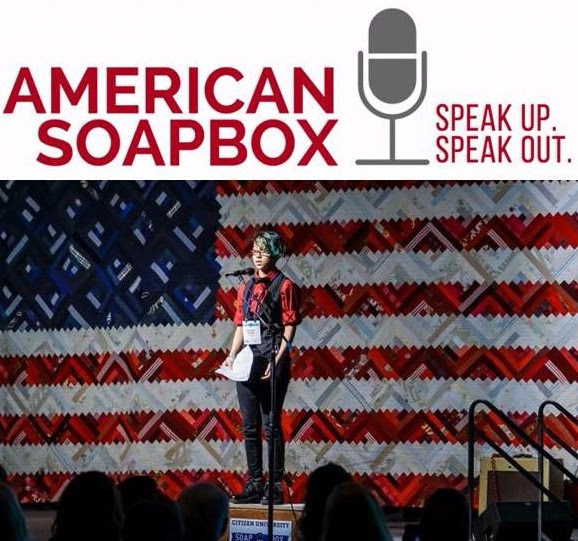 This fall the American Soapbox Initiative will give 50,000 youth from across the country the opportunity to get up on their soapbox and tell the next president their answer to those questions. 15 youth speakers will win a trip to the Inauguration in January. Click HEREto learn how to participate. The free curriculum that over 700 teachers downloaded in 2012 is back - now updated to include lessons that help students dig into how elections work, explore their own values and ideologies, evaluate the candidates AND get involved in electoral politics through a variety of scaffolded actions. 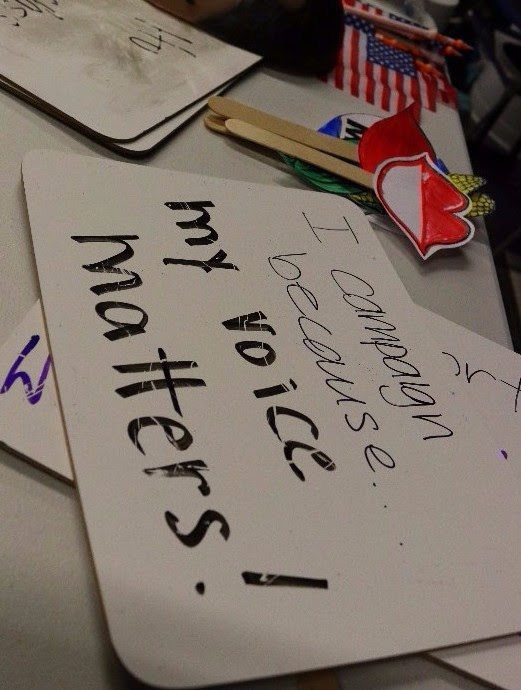 Whether you're covering the presidential campaigns or plan to focus on local races, this curriculum has something for you. Click HERE to request your free download!